If you're looking for the finest quality carpets in Shrewsbury at a competitively low price, Carpet Rack is the trusted choice. We have an excellent range of carpet textures and colours for you to sample as well our unique warranty on all our carpet brand and styles. All our carpets and flooring come with free delivery for customers within 10-miles of our showroom. Why not call us today and arrange for one of our professional carpet fitters to come and measure up your office-space or home? Come inside and visit our carpet, laminate and home-flooring showroom today. Whatever your budget, you can expect a friendly welcome instore as we endeavour to help you find the right type of flooring for your kitchen or home. Are you a Landlord looking for the best carpets and vinyl flooring fitting services for your property? 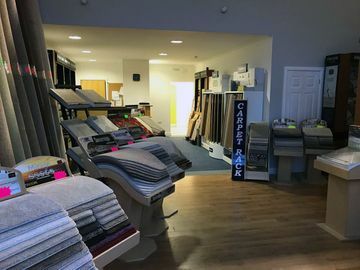 Welcome to Carpet Rack in Shrewsbury, your one stop shop for the very best carpet and flooring options for your business or home. 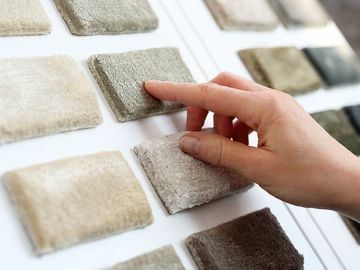 We have over 30-years of quality carpet fitting experience so we’re confident we can help you make the right the decision on choosing the right flooring. As a trusted Shrewsbury carpet fitter, you can take comfort in knowing we will travel directly to you in our Carpet Rack van and measure and fit your chosen carpet or floor. 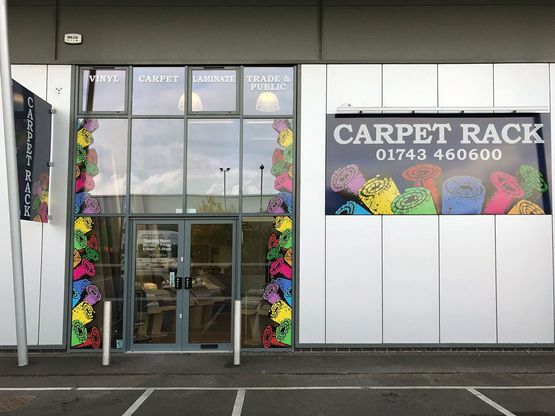 We offer excellent discounts on multiple carpet and flooring installations as well as a same day fitting service, so if you’re near Shrewsbury, why not pay our new and improved carpet and flooring showroom a visit? We offer free parking and inside you’ll find a fantastic space showcasing the very best in traditional and contemporary flooring. 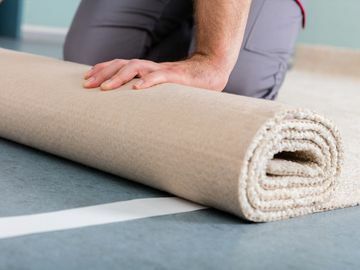 All of our Shrewsbury-based carpet fitting services come at a consistently competitive rate, so if you have any pressing queries, do not hesitate to get in touch. Immerse yourself in a world of quality carpets, laminate and vinyl flooring, all in one place at our carpet showroom. Easily accessible off Vanguard Way in the centre of Shrewsbury, our showroom offers not only the very best in affordable and quality flooring but free parking on every visit. Our dedicated staff are 100% customer focussed and will always offer the most up to date advice on your home or office's flooring options. Come and visit the latest styles and top brands and consistently competative prices under one roof.